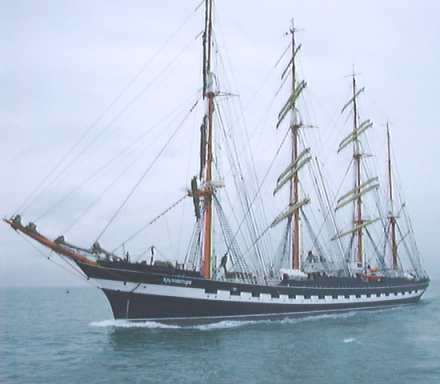 On 11 April 2000 Balmoral opened her new season with a cruise to meet Tall Ships en route for the event at Southampton. Matters were not as straightforward as might have been hoped as she had suffered engine trouble on the positioning run from Bristol. 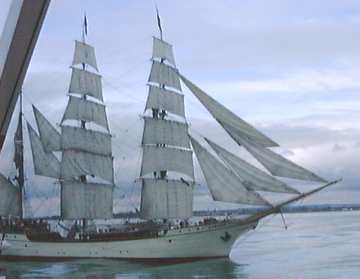 She put into Falmouth for repairs, which were completed very late on Monday 10 April. 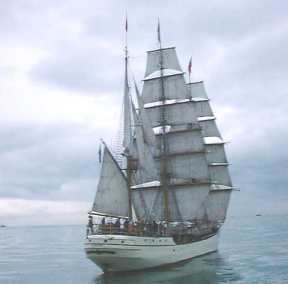 Sailing through the night, she made for Ryde to pick up her schedule at about 1300. 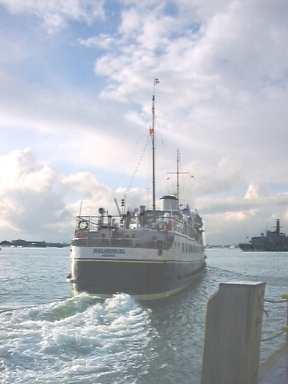 Meanwhile, the hastily chartered Ocean Scene, of the Blue Funnel fleet, took passengers from Southampton and Portsmouth to join the Balmoral at Ryde. 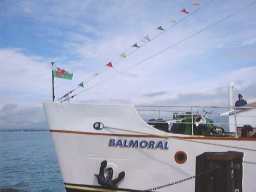 Flying the Welsh dragon at her jackstaff, in acknowledgement of Captain Colledge's nationality, Balmoral awaits her passengers at Ryde Pier Head. 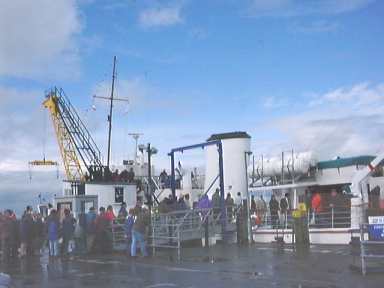 Southampton and Portsmouth passengers transferring from the Ocean Scene across the Pier Head.